When you hear the words Joyce Manor, you might think of a centuries-old estate, replete with polo fields and poodle-shaped hedges. 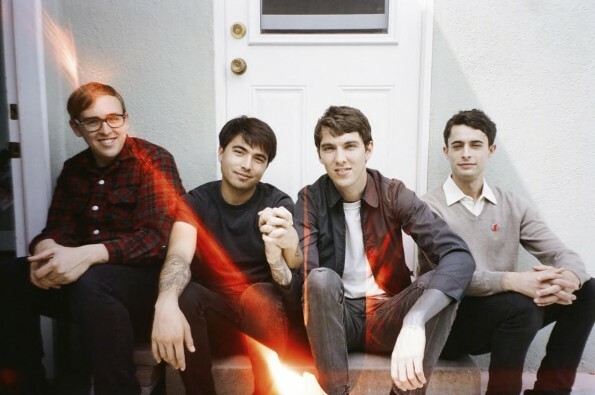 Music fans know the real deal, though, that Joyce Manor is one of the best punk rock bands around. This week the Torrance, California band is bringing the noise to Slim’s in San Francisco in support of their critically acclaimed third LP, Never Hungover Again. Full of diverse, energetic bursts of punk power that keep everything within the range of two minutes, the album is gonna be a thrill to see live. With support from LA punkers Girlpool, this show is gonna slay, and we’ve got a free pair of tickets for one lucky winner! To enter, simply send an email to contests@theowlmag.com, including your full name in the body of the email and “Joyce Manor @ Slims” in the subject line. Make sure your email is in by 10AM PST on Thursday, October 22nd, and you’ll be entered. Yeah, it’s that easy.